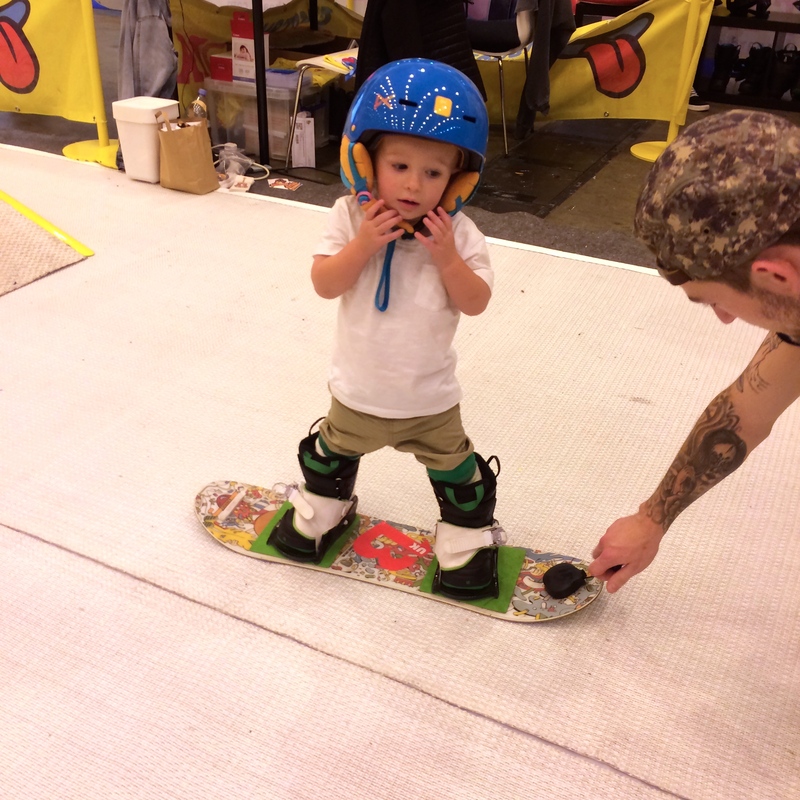 21 Month old on a snowboard! 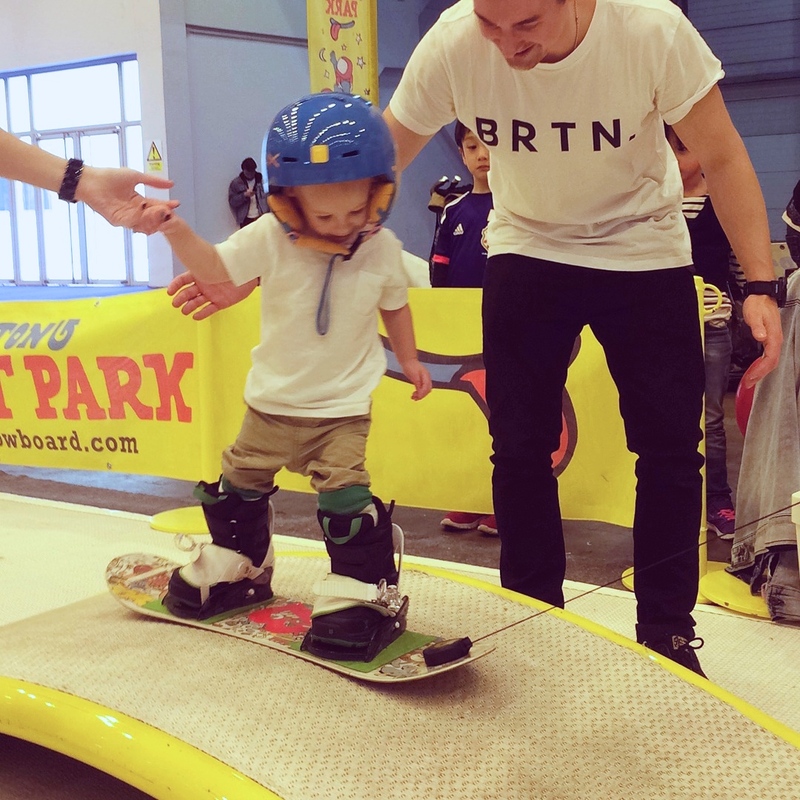 Last weekend we took a trip into London to the Ski and Snowboard Show. This was Ethan’s first time on a train and first time into London which should have been exciting enough for the little guy, but we pushed it a tad further. 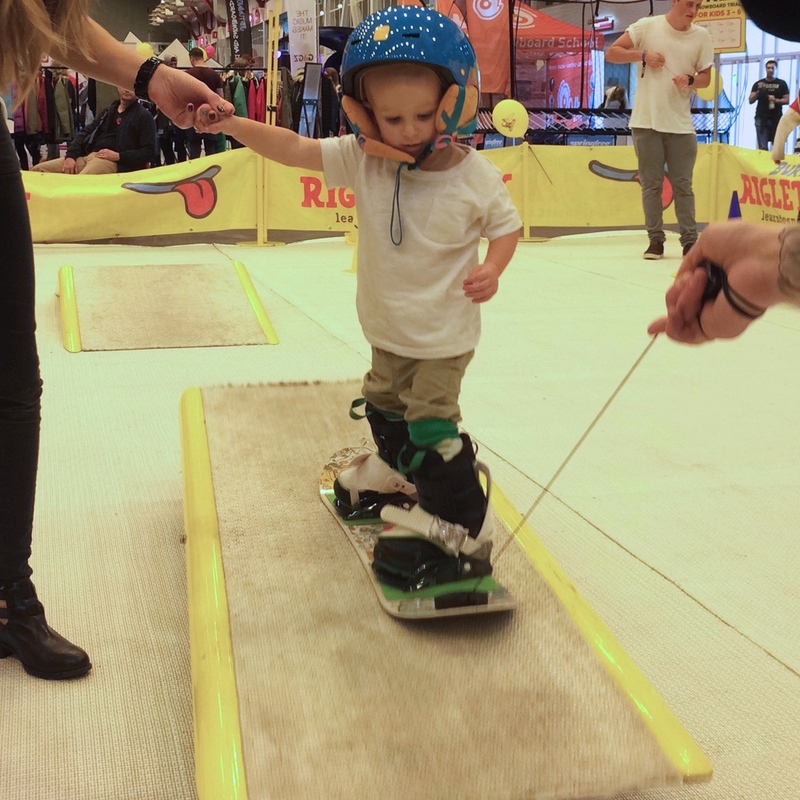 We headed straight for the Burton Riglet stand where littluns can get on a board for the first time in a safe and fun environment. If you get the chance and have a toddler you should definitely source the Riglet Tour out. Thanks to the Burton guys for a great experience! Ethan was hesitant at first but once he got on the board he loved it and was high fiving everyone. 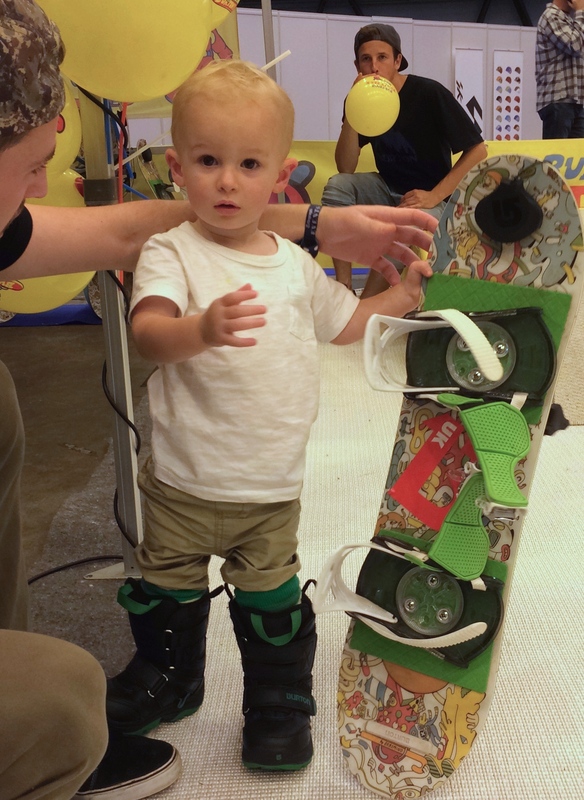 So here you go, some snaps of our 21month old on a snowboard!